Chuck's Kwik-E flys like a charm! I've had it out a couple times and it's just like the others - fast and fun. The white covering is a touch hard to see against a bright sky. I'll probably have to re-cover the plane in something brighter soon. I've been without a Kwik-E way too long. When my good friend Chuck told the club he was selling his, I bought it right up. 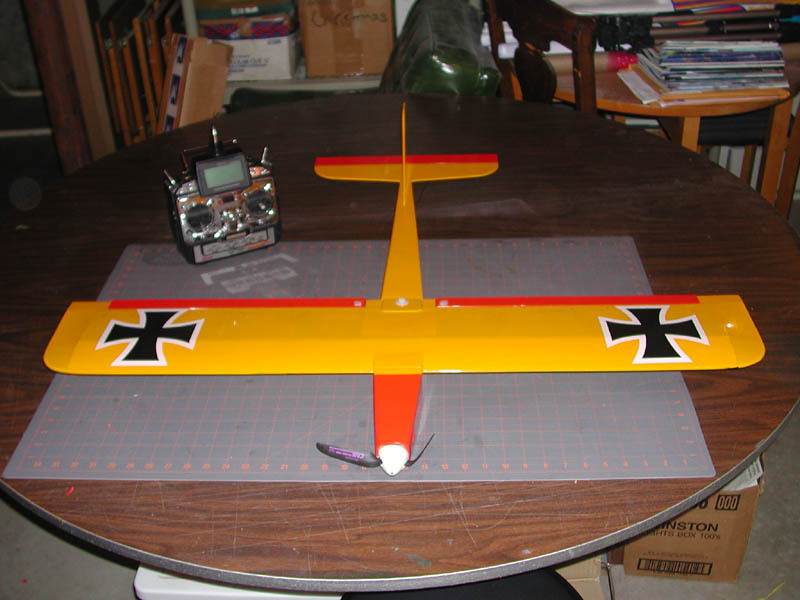 I've installed my trusty Jeti 30-3 setup in it and I'm ready for a maiden flight. I haven't taken any photos of it, but above are a couple that I took when Chuck still owned it. 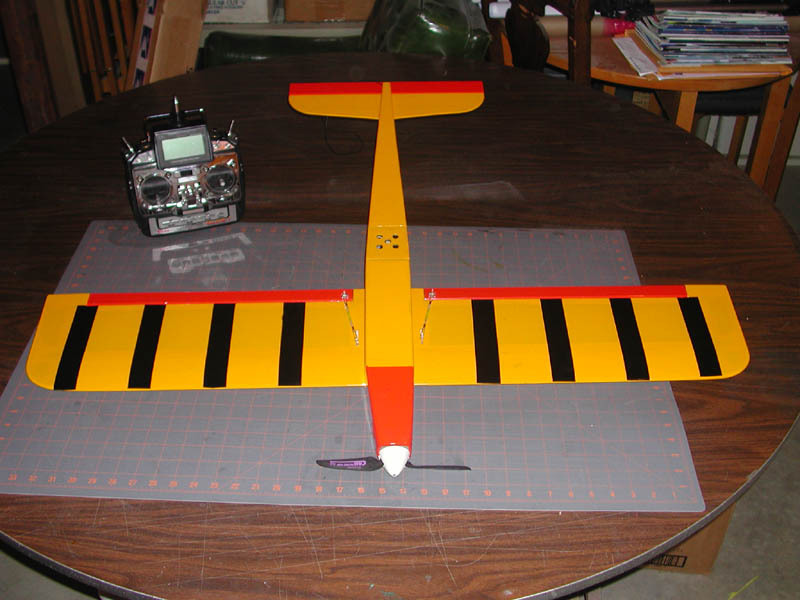 Chuck builds really nice looking airplanes! Had a radio problem and pancaked in Kwik-E #2. Wing is still perfect but the fuse was a write-off. Time to order another kit. 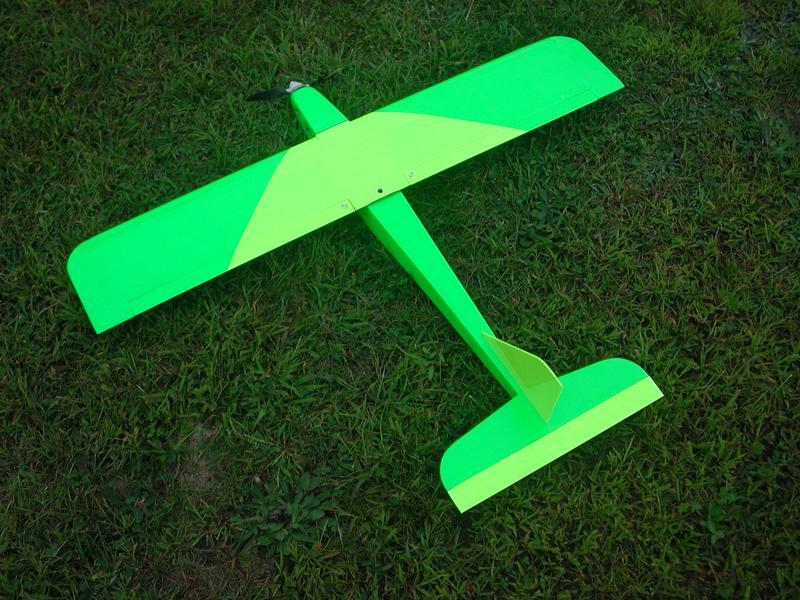 Maiden flight of the new high-contrast color scheme proved quite successful. The black/yellow contrast on the bottom/top stands out well in flight. Kwik-E #2 flys just like #1. 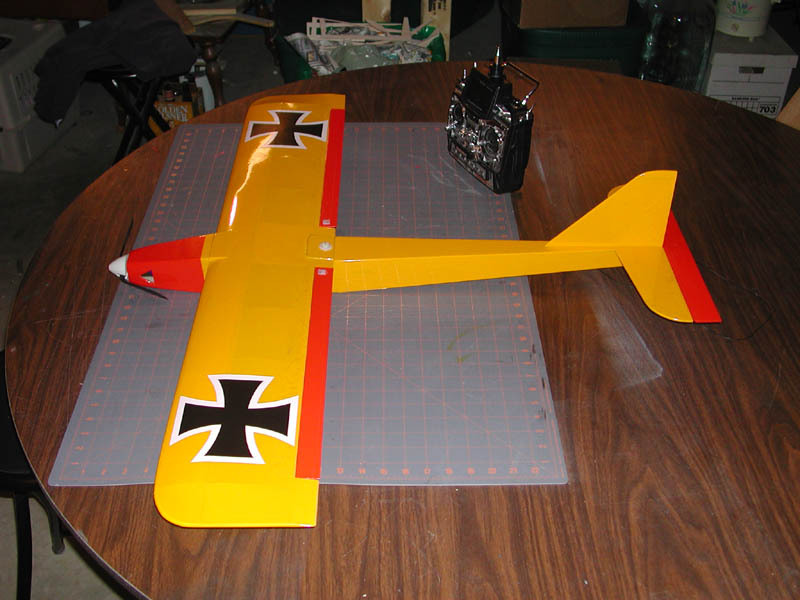 Straight off the building board I only needed a click or two of elevator trim and no aileron for perfect flight behavior. I'm ready for the winds at NEAT fair! Kwik-E #2 is 'in the bones' completely framed up and waiting on a shipment of covering and servos to finish up. Hopefully I'll have this completed for NEAT fair '03. Photos coming soon. First nice day of spring. I guess I was just a little too rusty. I lost orientation on landing approach and put it in HARD. 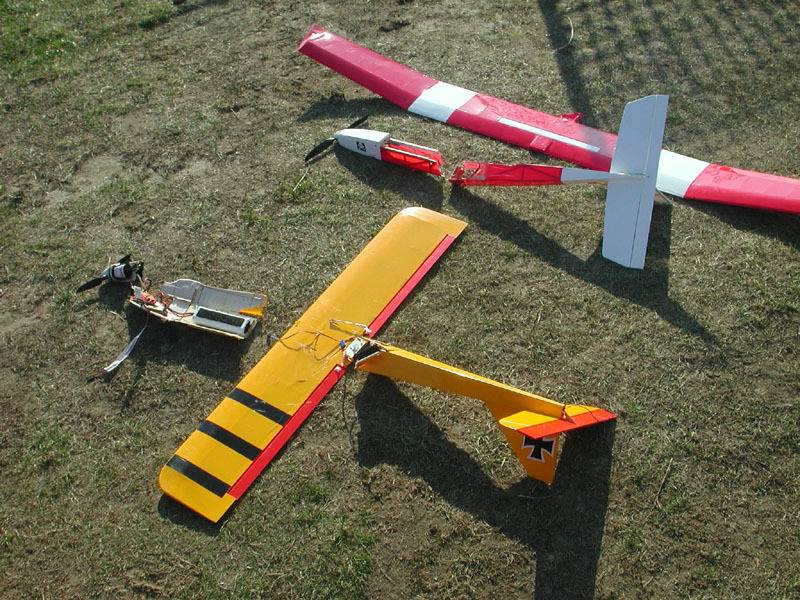 Stripped servo and destroyed airframe. Good thing I have a spare kit. Luckilly the brushless motor, ESC and receiver survived unharmed. Oh yeah, the Soarwatt got flipped by the wind and the fuse was destroyed too. Sheesh! 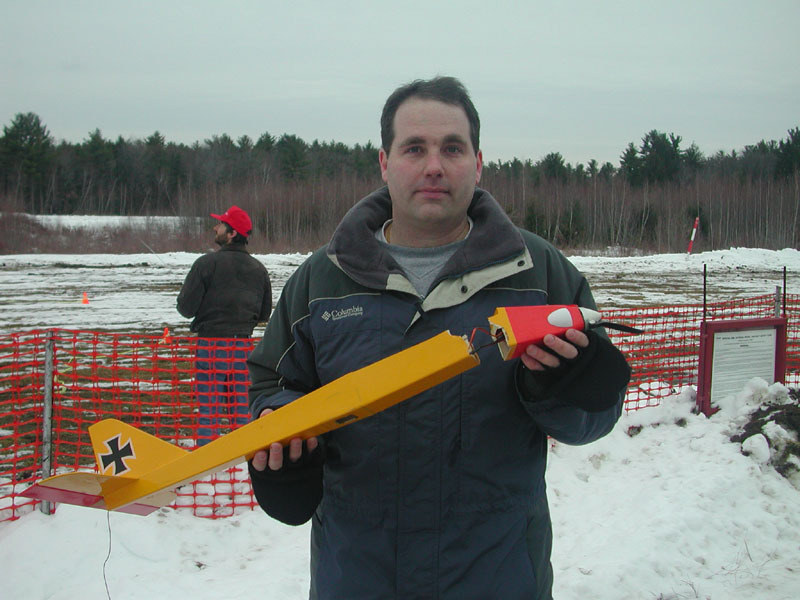 Flew the Kwik-E at the New Years day 'numb thumbs' fly-in at the club. Was the fastest plane between the pylons, but on landing just kept sliding down the frozen runway. Ended up in the snowbank at the end of the runways. Repairs done - good as new. CA'ed the break, then reinforced with some 5-ounce fiberglass cloth and 30-minute finishing resin. Covered the nose in black this time for better visibility. Flew at NEAT fair - performed well in the wind. Gary Wright watched a flight and thinks the Jeti power system is a touch quicker than the endoplasma. I let Jim Sarette fly it and on landing it slid into one of the pilot stations cracking up the leading edge and center section sheeting. 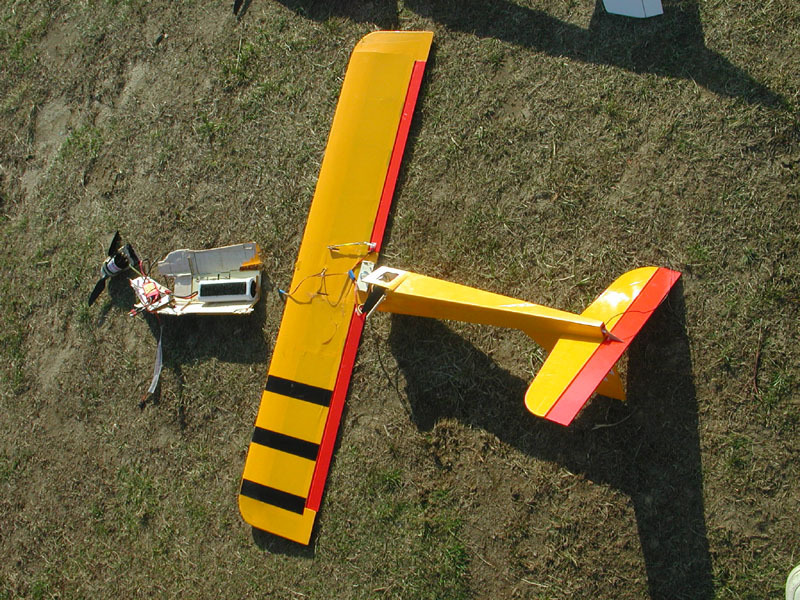 Field repairs were done at NEAT to get it flying and they were fine. I recovered it with matching covering when I got home. Good as new. 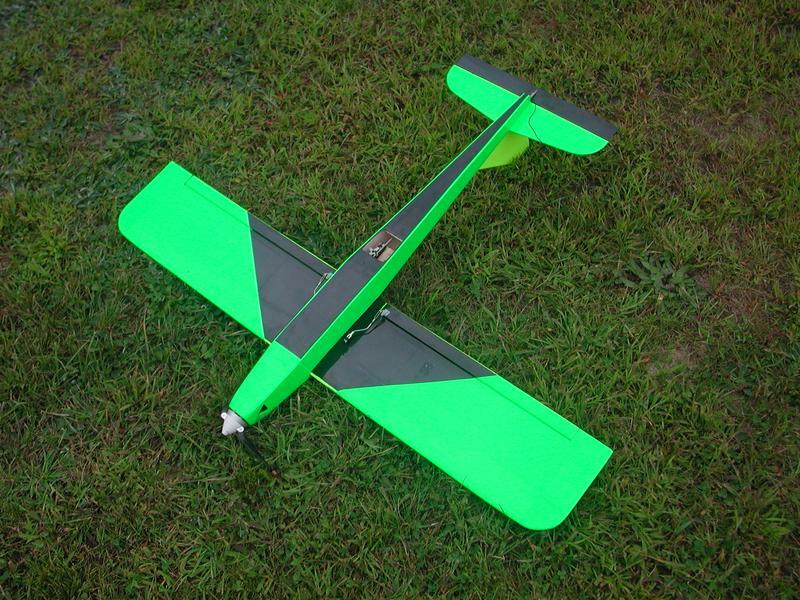 New powerplant is Jeti Phasor 15/3 with 8x6 prop and 6 or 7 2400SCR Nicads. 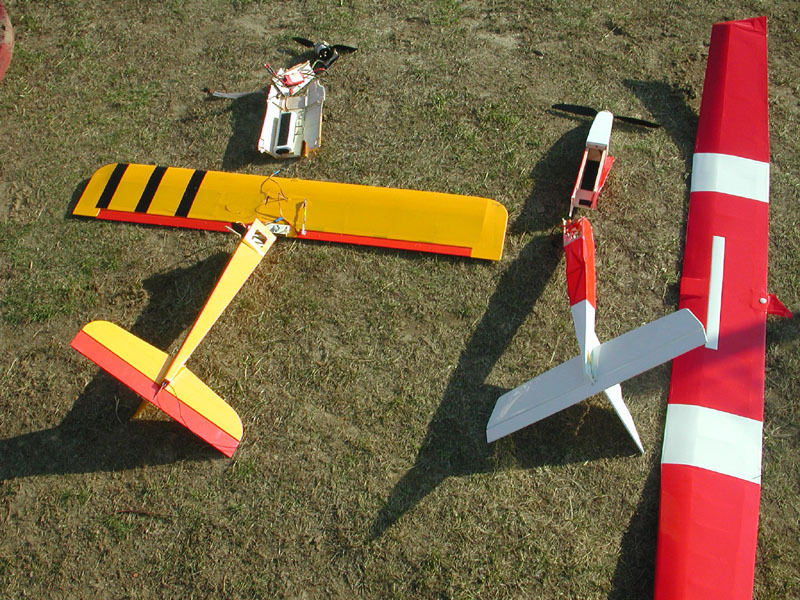 Flew several flights at the club field. The plane flys great and the motor is ice cold, even with 7 cells and full throttle throughout the flight. 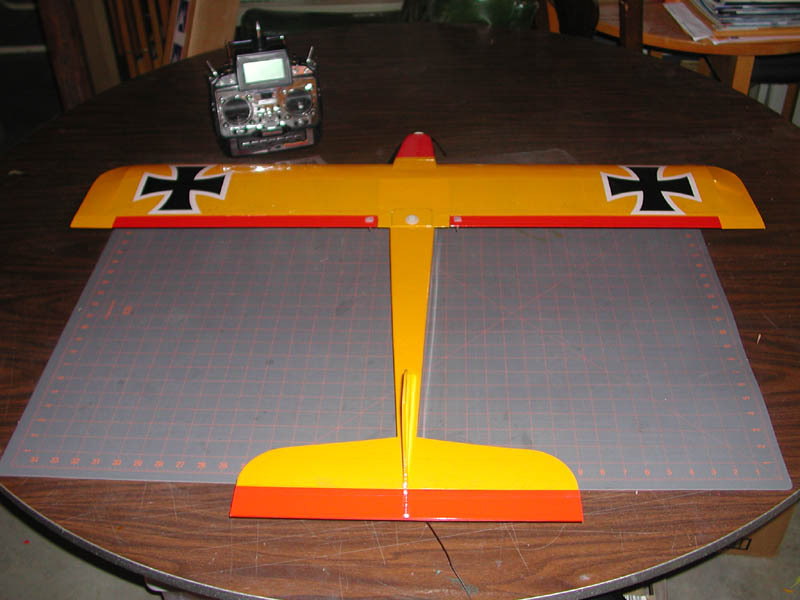 This is a great setup for this airframe. I'm really considering adding a rudder for full 4-channel control. 1010/2Y threw a magnet, I sent it back to Aveox to have the rotor replaced. Kwik-E is grounded until I get it back. Emergency power-off landing was no trouble. First flights - WOW! Handlaunched easy, rolls are axial. 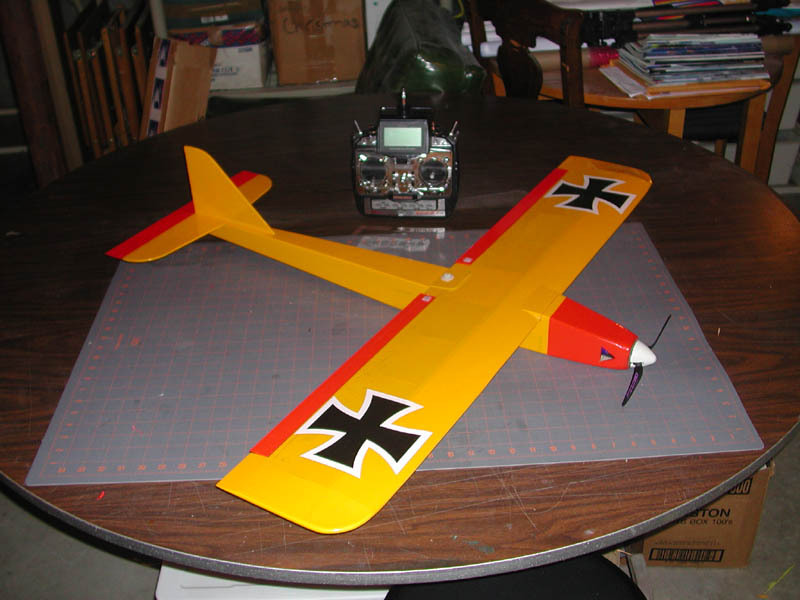 Plane is VERY responsive and amazingly fast in dives. 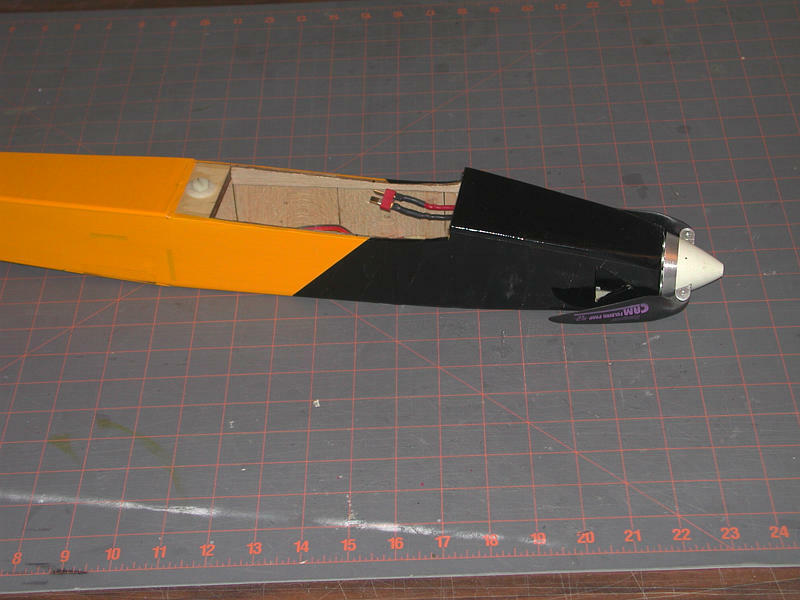 I need a little more pitch in the prop for maximum level flight speed, but it's plenty fast as-is. Stalls are non-events and landings, while quick are quite manageable. This is the Kwik-e from Gary Wright's kit. The power is an Aveox 1010/2Y direct drive on 6x2400SCR cells with a Graupner 7.5"x4" CAM folder. 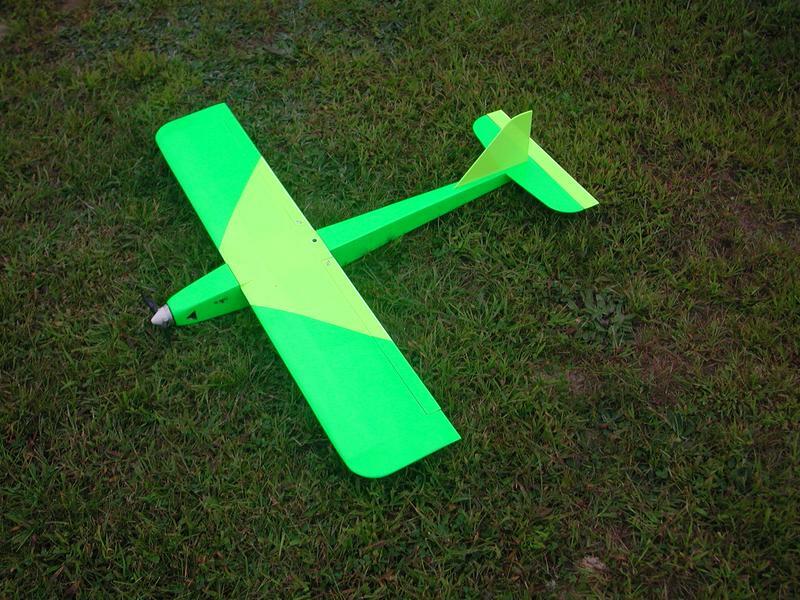 It's ready to fly as soon as it stops raining.